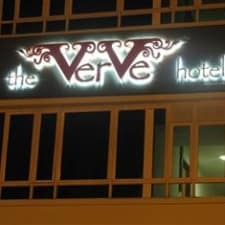 The Verve Hotel @ Ara Damansara is an eclectic chic business boutique hotel located in Petaling Jaya. The Verve Hotel (@) Ara Damansara embraces the cool factor and informality of backpacker lodgings but with the little luxuries and tech-ness of modern business hotels.....and then some. ​The Verve Hotel @ Ara Damansara .....We're closer to you.